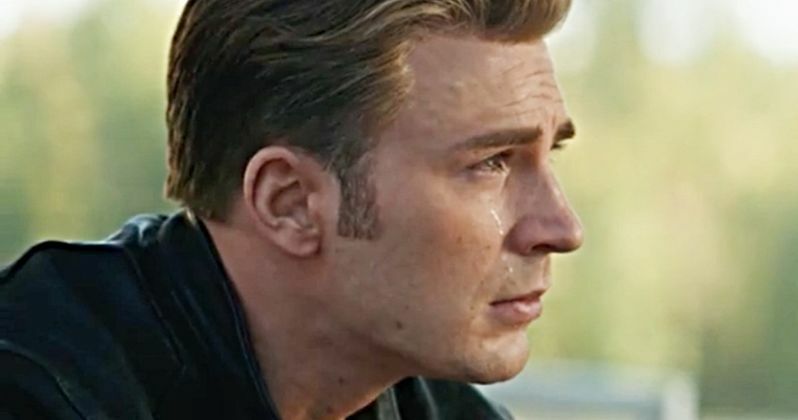 The Avengers: Endgame trailer might tease Captain America's death. Chris Evans has played Steve Rogers on the big screen since 2011, and has hinted that he may be finished with the character after the release of Avengers 4. Getting involved with the Marvel Cinematic Universe is not an easy schedule, especially since Evans has appeared in 10 projects in under 10 years, though some of those projects were just short bit parts. With that being said, it looks like Endgame could be the end of the line for Captain America. By now, we've all seen the Avengers: Endgame trailer more than we are willing to admit. Robert Downey Jr. is talking through his Iron Man mask to try and get a message to Pepper Potts. He is isolated, much like how he was in the first Iron Man movie. Steve Rogers is safe on Earth with the surviving members of the Avengers directly after the events of Infinity War, combing through the wreckage. In one quick shot, we see Cap's compass with a picture of his love Peggy Carter in it. This is the compass that was last seen in Captain America: The First Avenger that Steve Rogers places on the dash of Red Skull's aircraft as he says goodbye to Peggy Carter. That compass was one of the last things that Rogers gazed at as he crashed into the arctic and died. However, he obviously did not die as he wakes up 70 years later. This could be eluding to his second "death" in the MCU. Many fans have speculated that if time travel is a possibility, that Rogers will go back in time to have his dance with Peggy that he always promised, meaning he would either be really old or dead in the current time line. In looking closer at the compass, it doesn't look like its Captain America holding it in the Avengers: Endgame trailer. Instead, it's believed that Black Widow is holding it. Cap could be opening up to her about the losses in his life, or she could be holding it after his death. This is all speculation at this point, but we could very well see the end of the current Captain America in the upcoming movie. When Chris Evans wrapped filming on Avengers 4, he sent out a thank you note on social media, which many fans believed was his official goodbye to the MCU. The actor walked back the comment at a later appearance, noting that it was not a spoiler, and the Russo Brothers have recently stated that Captain America might not be gone after all. With that being said, Evans' contract was extended so that he could participate in Avengers: Endgame, and it is now over, which adds to the death rumors. Luckily, the movie is coming out a week sooner, so we won't have to wait that long to see. Until then, we'll look to Marvel Studios for updates.